This evening, because I know how to party really hard, I’ve been clearing through the inbox of the babyledweaning.com Facebook page, of which I am a mostly absent admin. I’ve been steadily ignoring the messages building up there for months but tonight, with Nathan out, chocolate on hand and a solid 2 hours of “Don’t Tell the Bride” on TV, I decided to tackle it. Sweep out the cobwebs for the New Year. It’s hard going but rewarding. 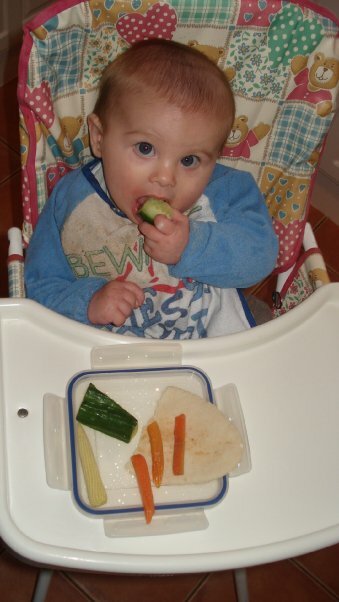 Hard going because every message from an insecure first-time mum (and it is always mums) send me right back to being that mum, weaning my baby for the first time and having no idea whether I was going to make or break him with this head of raw broccoli I’d dumped on his highchair tray. I learnt as I went along – eventually, I even started cooking the broccoli – and I have no regrets about doing BLW at all. He still eats broccoli, as it happens, and has even been known to exclaim “Yum, broccoli!” as I put it into the basket in Tesco. Shortly before pestering me for some kind of Marvel-branded firearm. Public parenting points are easy come, easy go. 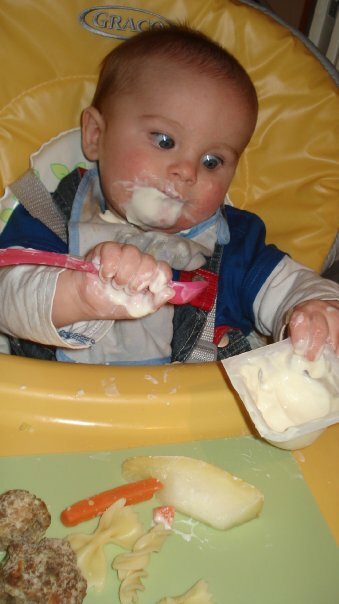 But it got me thinking about so much more than weaning. I started thinking about that whole first year with Roo and the things I regret about it. Because it was never perfect – he was never perfect and I was not even in the same room as perfection – and there’s so much I regret. I regret constantly comparing him to other babies. Worrying about his size and how small he was. I regret not using my common sense and telling myself that a baby born out of the blue at 37 weeks would clearly be smaller than one that had had five extra weeks of gestating. I regret going to the Health Visitor so often and weighing him, tying myself up in anxious knots whenever we sat in that waiting room. I regret obsessing about the way he was feeding and snapping at Nathan every time he suggested giving him a bottle of formula. I regret never hitting on that negative correlation between stress and milk production and even though I knew in my head that I needed to relax, not being able to do so. I regret not invoking that 37-week-get-out-clause again, logicking to myself that his arrival had been a shock to both our systems and that’s probably why my body wasn’t quite ready to feed him yet. I regret not forgiving myself for those first few stressful days once we were home and feeding was actually going fine so I had no real need to obsess over it. Yup, I regret that. I regret just not appreciating him more. I regret all the hours I wasted trying to get him to settle on his own when he clearly just wanted to be with me. I regret letting myself be spooked by childless friends and cautious medical professionals, all telling me of the evils of co-sleeping when really, if I’d done it properly from the start it would have been perfectly safe. Definitely safer than being so damn tired that you fall asleep standing up with the baby, or on a sofa in the middle of the night. But these regrets pass. You get to have a second child and correct the mistakes you made. The second child who arrives late, alert and ready to feed. The child who sticks to her 25th percentile even though you only weigh her once in a blue moon. The child who co-sleeps peacefully with you and lets you feel somewhere close to human again. The child who now strives to wreck all these precious baby memories by being a stroppy, melodramatic 3 year old who’ll only leave the house in a full length princess dress and a rucksack full of plastic tat. Y’see they’re at school now and they have a million criteria to be measured against. They both have literacy targets (yes, even the 3-year-old) and numeracy targets and gross motor skills and reading challenges and songs to learn and stories to concoct and sports to show literally no talent at…the success matrix is now so dense and complicated that you just have to step back and concede that they’re generally OK, even if their dinner-eating skills are still “emerging” and their remembering-to-flush skills are “not yet mastered”. When yor child is just a tiny baby, all you have to measure them on is how well they sleep and how well they feed. If, like Roo, they’re not doing well on either measure, it’s easy to feel like you’ve failed. True fact. I thought I’d failed parenting in the first 48 hours. But he still appears to be alive and he’s learnt to play X Box so, yknow, he’s thriving. Not to say don’t be anxious about your child because that’s like trying not to think about elephants but just try and hold things lightly. Try not to have regrets. But if you do, be assured that they’ll seem a lot smaller in half a decade’s time. 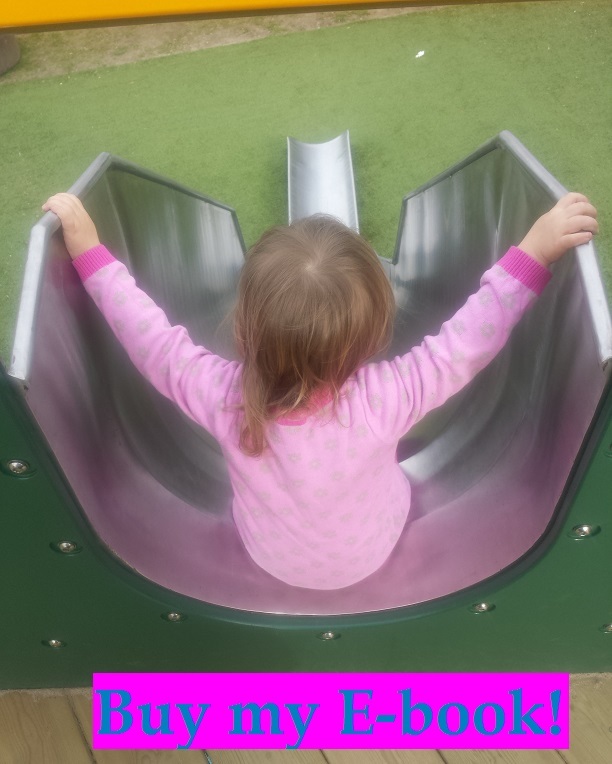 This entry was posted in Rants and tagged baby, baby-led weaning, breastfeeding, parenting. Bookmark the permalink.